The boarding school offers to students a comfortable residence, as well as a place to live and develop academic, sports and cultural activities. It has an excellent environment, which offers a quiet, family atmosphere and personalised attention to all students, in a climate of companionship and camaraderie. The residence building and Sports Centre, which covers more than 60,000 m2, is in an exclusive location surrounded by nature. Mas Camarena Residence is located in the residential area of ​​Torre en Conill Norte, in front of the Escorpión Golf Course, in the Valencian town of Bétera. Valencia city centre is only a 15 minute drive away from the residence. There is easy access to the AP 7 motorway and the airport is close by. The students, who will be studying at the Mas Camarena Educational Complex, will be taken there by school transport. Mas Camarena Educational Complex is only a short 5 minute drive away. Vocational Training Courses (16 years and over). Spanish and English language immersion: This course includes assistance and support in either Spanish or English as a second or foreign language. The objective is to help students master these languages in an easier and quicker way. American High School: This is aimed at both national and international students who wish to enrol in online American High School Studies, being Mas Camarena in charge of their tutoring and mentoring. High Performance Sports: Young people who study sports or train at a high performance level can combine their studies and training in our sports centre and school. Secondary School and Baccalaureate: Secondary students will follow the Middle Years Programme. When they finish this, they will be able to choose between the national or international baccalaureate. Students can choose the length of their stay to complete their studies. All athletes participating in sporting events taking place in our Sports Centre can stay at our residence during the event. Throughout the year, the school organises foreign exchanges and students can either stay in the residence or live with a host family during their stay. The residence is open to all students, who need a place to stay for a weekend, a week or even a night. In summer we remain open and offer a variety of activities including language courses, adventure experiences as well as sports and cultural activities. Full-board accommodation: Breakfast, lunch, snack and dinner. Menus prepared by our staff, following the Mediterranean diet, providing a healthy balanced diet. The weekly menus give the students the possibility to choose between several options. Personalised diets. WI-FI connection throughout the residence and Sports Centre. Academic support: Students have study timetables to carry out guided study and can receive the assistance of a tutor if necessary. Weekend activities: Organised cultural visits, sports and leisure outings during the weekend. We also have a Football Club, Athletics Club, Running Club, Hiking Club and Mountain Biking Club based in our centre. Sport Centre: 60.000 m² dedicated to sports. Gardens with leisure and entertainment areas for students. Dining rooms with access to terraces and gardens. Car park and bicycle stands. Events Hall for conferences, celebrations, events, sports camps, etc. In addition, students can use leisure, sports and academic facilities found in the Mas Camarena Educational and Sports Complex. Single, double and triple rooms. Perfectly equipped facilities with air-conditioning. Exterior facing rooms with lots of natural light. Personal Key code access cards to the rooms. · Individual wardrobes and cupboards. 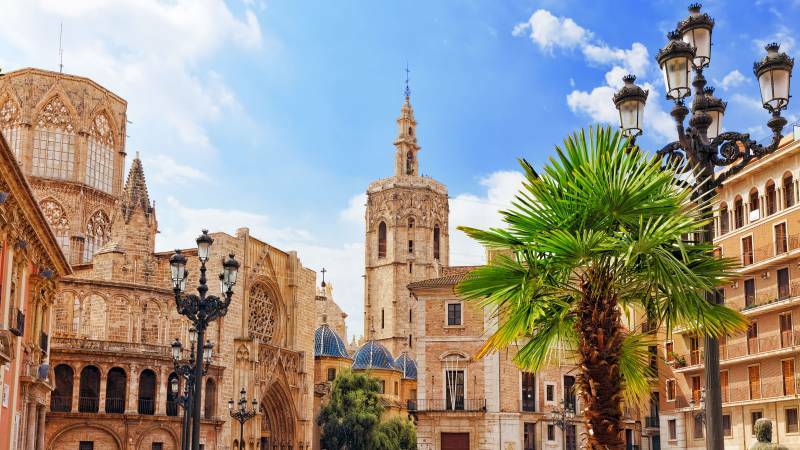 Valencia is the third largest city in Spain. 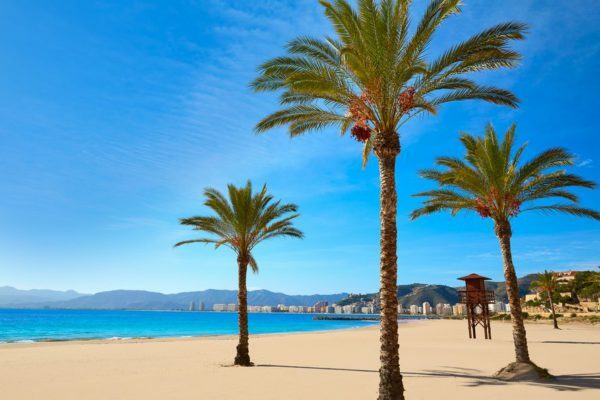 It is located on the Mediterranean coast and it has a very pleasant climate throughout the year. Its festivals and traditions are known worldwide, as well as its gastronomy. Gastronomy: The rice dishes and paella are some of its culinary riches as well as the horchata and oranges. All its cuisine is based on the Mediterranean diet. Fruit, vegetables and fish are the basis of their dishes. Festivals and traditions: The Fallas festival has been awarded World Heritage Status by UNESCO, a festival that can be experienced throughout the city in the second week of March. Urbanización Torre en Conill Norte.